Through many examples and exercises, this book helps simplify bioinformatics programming using Python. It's an ideal guide for biologists who want to learn either basic scripting or substantial programming for various computational tasks, and for programmers who want to learn bioinformatics programming. 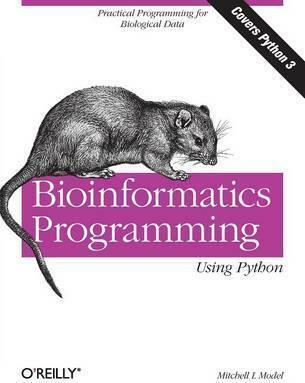 "Bioinformatics Programming Using Python" can be used as a reference, for self-instruction, or as a companion book to help you through undergraduate courses in computer science, biology, and other life sciences. With the level of detail this book provides, it's also perfect for Professional Master's graduate courses in Bioinformatics.